The Caribbean is place you will find a rich cultural diversity and some great spots to vacation. However, you will find these cultural diversities have affected traditional Caribbean foods in some delightful ways. The visit by Columbus in the late fifteen century has provided an exodus for foreign nationals to the Caribbean who have taken the islands to be their home. 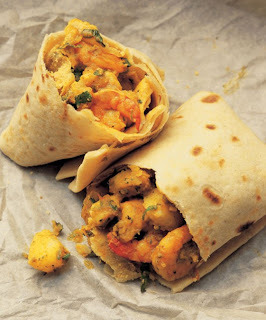 You will find that some of the wonderful Caribbean dishes have been blended with some colonial taste. Sampling some of the foods from the various islands should be one of the amazing highlights of the holiday to the region. You will find the different ethnic groups that travelled to the Caribbean and the fifteen century and beyond have contributed in some way to traditional Caribbean foods. The African which is the most dominant population in the region today brought the pigeon peas, okra, dasheen, edda, cocoyam and plantains to names a few. In the Dutch islands you will find many dishes that are prepared from cheese which was their main contribution to the regions’ foods. The French contribution is in the line of seafood preparations which many of the French territories will give you opportunities to enjoy. The British contribution was along the lines of pudding, and jellies. 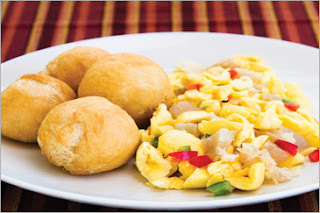 Jamaican Ackee and Salt Fish have its origin the English culture as well. These foods all have their origin in the colonial era. The Indian who came in the nineteen century brought rice which has made its way to many Caribbean dinner tables in a popular way today. Corn, yams, beans, cassava, sweet potatoes are all indigenous to the region. These usually appear in bread, soups and porridges are some of the main remains of the mostly extinct indigenous population. In the island of Trinidad you will find some popular curry dishes. One of famous ones is the Trinidad Rotti which is made with Irish potato, flour and different the of animal meats and vegetables. This island is also famous for its Pelau which is a mixture of rice, peas and animal protein. All these dishes are delightful to taste and you will find them in neighbouring islands like Grenada, Barbados and St. Vincent and the Grenadines. You will find that all the different territories will provide some lovely dishes which are unique to each island for you to enjoy. Meat preparation has evolved in the Caribbean. The origin of the barbecue is said to have its roots in the islands. There is also the famous curry goat soup that you can find in many of the islands. Jamaica is one of the islands you will want to visit to sample some different preparation of fish. It will not the practical to mention the Caribbean traditional foods without highlighting the tastiest fruits and vegetable you will find in the different islands. The star apples, ackee and the breadfruit are some of the unique food that many will not come across in many places in the world. Fruits such as pineapple, papaya, coconut, guava and the famous mangoes which are some of the tastiest fruits you will ever eat can be found in all the Caribbean islands. You will if different types of mangoes in each of the islands. The coconut is another fruit that you will want to enjoy. It is an excellent product to quench your thirst and white or jelly is just simply delicious. These are just some of the traditional Caribbean foods you will get to sample when you are on a vacation. Many of the top resorts will give you a chance to sample these foods. However, you will find that there are many international delicacies that have found themselves on the menus of a lot of top vacation resorts as well.